Update: We were just informed that the actual source of this leak is the Motely Fool and the update regarding Intel’s next generation CPU codenames came from them. Intel plans to launch a range of 10nm processor families starting 2017 which will be replacing the existing 14nm based designs. The Kaby Lake family which Intel plans to launch later this year will be the last processor family to feature the 14nm node design after which Intel plans to launch an array of 10nm processors from 2018 up to 2019. 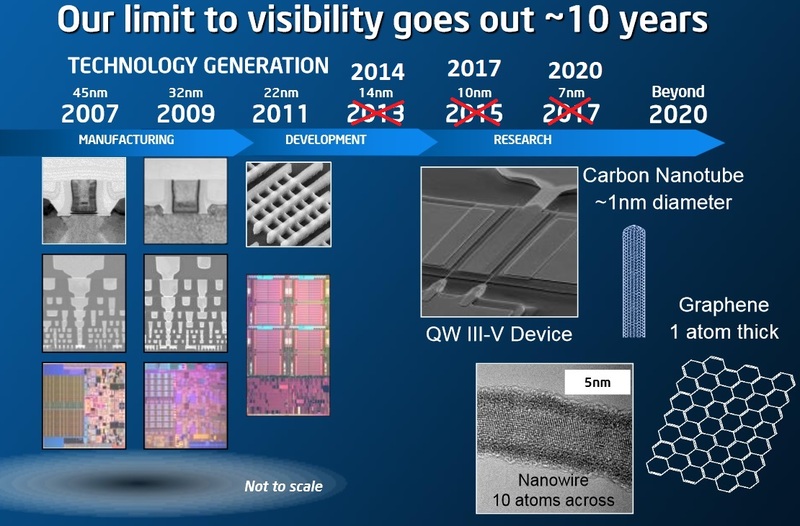 Due to poor yields and the complexity in achieving smaller nodes, Intel is pushing their 10nm processors ahead to gain process maturity by the time Cannonlake hits the market. However, we have seen this trend since the 14nm Broadwell architecture with which Intel had a really difficult time and was pushed several months back in the desktop and mobility segments. In their past earning calls, Intel did report that their cadence today is closer to 2.5 years than two. In the past, Intel’s Tick-Tock roadmap was simple and clear, they would release a Tick, a new (smaller) process node which will be using an existing architecture with minor updates and that would be followed by a Tock, a brand new microarchitecture built upon an existing process node. This isn’t the case anymore, since it’s getting harder to gain smaller node early, Intel now relies on a third Tock within their Tick-Tock cycle. The third Tock is not a massive architectural update, nor is it a complete refresh of an existing microrchitecture. The Intel 14nm Broadwell CPUs were the Tick, Skylake were the Tock and the upcoming Kaby Lake processors will be another Tock or should we say, Semi-Tock. “As node transitions lengthened, we adapted our approach to the Tick-Tock method, which gave us a second product on each node. This strategy created better products for our customers and a competitive advantage for Intel. It also disproved the death of Moore’s Law predictions many times over. The last two technology transitions have signaled that our cadence today is closer to 2.5 years than two. It is already confirmed that Intel’s 10nm Cannonlake processors have been scheduled for launch in 2H of 2017. This is a year after Kaby Lake would be introduced. Now what Intel plans to do after Cannonlake is reminiscent of what they are currently doing with their 14nm process. In a report published by Motely Fool, it is reported that Intel will be introducing 10nm Ice Lake processors in 2018 and 10nm Tiger Lake processors in 2019. While Cannonlake will be designed on a completely new node, most of its DNA would be taken from the Kaby Lake generation of processors as its a Tick. The 10nm process will really start to show its prowess in 2018 with the Ice Lake generation of processors which will be using a brand new microarchitecture, further ensuring the IPC lead and efficiency gains on the smaller node. We don’t really know much about Ice Lake right now but the previous reports suggest that it will be incorporating the FIVR (Fully Integrated Voltage Regulation) modules which were excluded from Skylake and Kaby Lake processors. Intel will also release an intermediary platform known as Tiger Lake which will serve as their semi-Tock 10nm family. Tiger Lake is a brand new name which we haven’t heard of before but it makes the roadmap slightly clear as to how longer Intel plans to make use of the 10nm node. 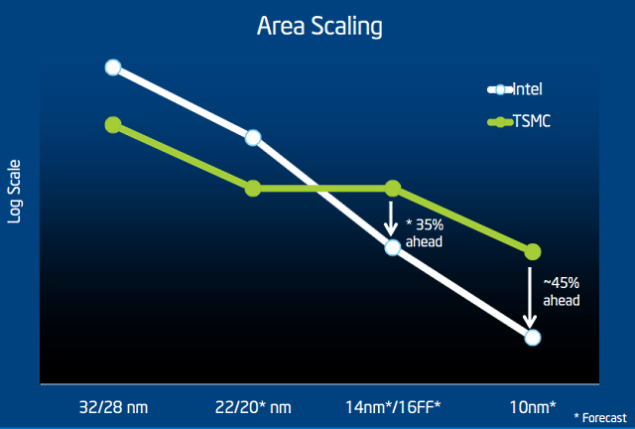 There are several challenges ahead for Intel as competition rises from TSMC who are expected to make develop their 7nm node process in 2017 followed by 5nm process node in 2020. “TSMC expects to start production of 7nm chips in the first half of 2018, said company co-CEO Mark Liu at a recent investors meeting. He did not specify whether the node would be ready for volume production or just risk production. In 2020, Intel will be giving the greenlight for 7nm processors and if silicon does remain a viable base material for designing microprocessors, we will further see a 5nm node from Intel in 2022. However, it has long been seen that Silicon won’t remain as the most cost effective material in designing CPUs and there is already a list of several potential candidates that are going to replace Silicon as the base material for CPUs.